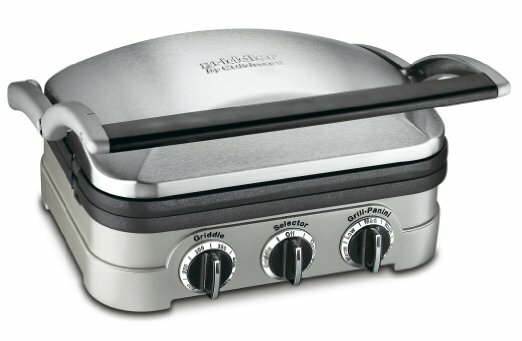 This Hamilton Beach Indoor Grill is particularly good for frozen burgers. You cannot find the difference between fresh and frozen ones. By this small electric grill, you will be able to cook hamburgers in just three to four minutes. Hot dogs take even less time. If you are in a hurry, this is the best option for you. 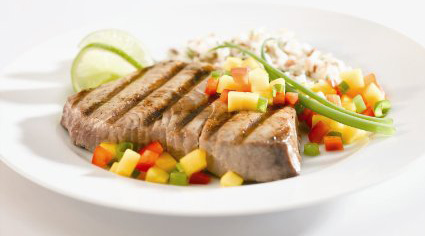 Most food will take only 10-15 minutes depending on how you want to cook them. 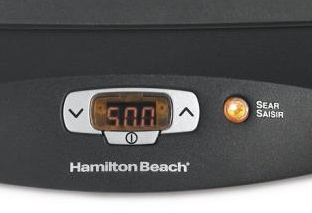 The one problem of Hamilton Beach 25331 grill is the small area of cooking. If you have a small family, then it is a pretty good option for you. Again it is better for burgers, sausages, sandwiches and bacon rather than chickens. 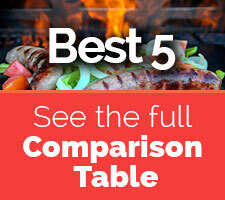 Cooking burgers and sausages give the best quality and taste. an outdoor BBQ grill. But this indoor BBQ grill will give you a very similar taste. This small electric grill will also keep your meat or steaks tender or juicy. If you want a larger product by which you will be able to cook for your family at one batch, then go for Breville Smart Grill. By the adjustable temperature control and digital display, you will be able to cook your food at medium heat. It doesn't have any timer. 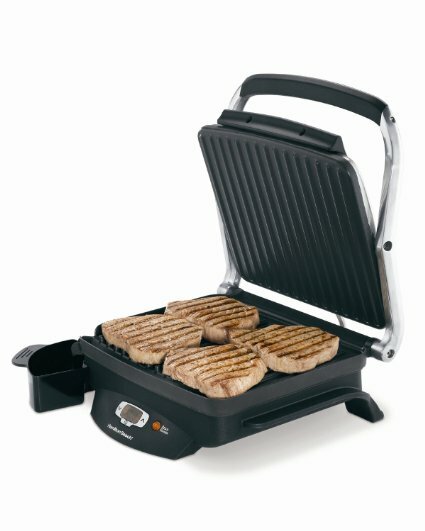 But G﻿eorge Foreman﻿ GPR99 will offers you a timer which is a very helpful feature. Cleaning up an indoor BBQ grill sounds pretty hard. The sticky oil and grease of meats are quite hard to clean. But in this case, cleaning up is not as hard as you are thinking. The task is quite easy. Though the parts of the grill are not removable, it is not necessarily needed. After cooking, take a hot, wet kitchen towel throw it right on the grill. Let it steam. After enjoying your meal, wipe the grill. Things will come out very easily. Sometimes wet sponges also help if things become too sticky. If the sticky oil and grease don’t come out easily, then use a little bit more water. You can also use two wet towels at a time. And so on. Hamburgers and sausages are made best out of it. Talking about chickens, it doesn’t give that BBQ outdoor flavor. So it is preferable for those who like hamburgers and steaks. Again those who like foods crusty rather than soft, the searing grill will help them to get that crusty flavor. 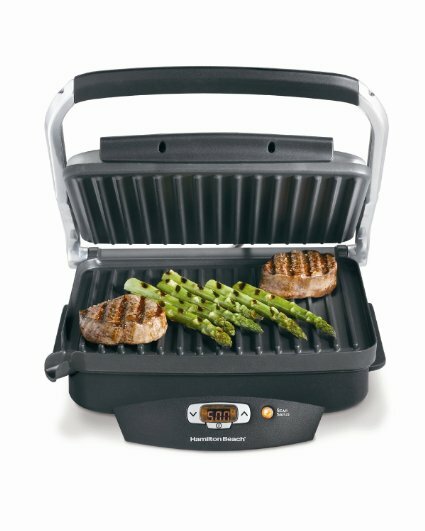 The negative side of this Hamilton Beach Indoor Grill is that it has relatively small space. But as it cooks your food very fast, you can cook foods in 30-40 minutes for your family. If you have a family with 2-3 persons, then it is not a major problem. Some people complain that it stays very hot after cooking for a long time. I don’t think it is a major problem when you are receiving such tasty flavors. After cooking, give some time so that it can cool down. Burger lovers will find this indoor grill very helpful. The searing grill will give your hamburger a crusty and yummy flavor. The grill marks on the patty look very appetizing and delicious. In brief, Hamilton Beach Indoor Grill will give a nice experience of cooking food. The only problem with this indoor grill is that the plates are not removable. You can check out the Cuisinart GR-4N which offers you plates that are removable. It is also the best product in the market.